HomeInsightsUncategorizedAre You Using LinkedIn For Business Networking? Have you been wondering about how to network on LinkedIn? Whether you are a new business or wanting to find up-and-coming workforce talent, LinkedIn’s business page will allow you to not only build brand awareness, but it allows you to position your company as an industry leader. If you have yet to sign up for an account, here are the features and advantages you should know. 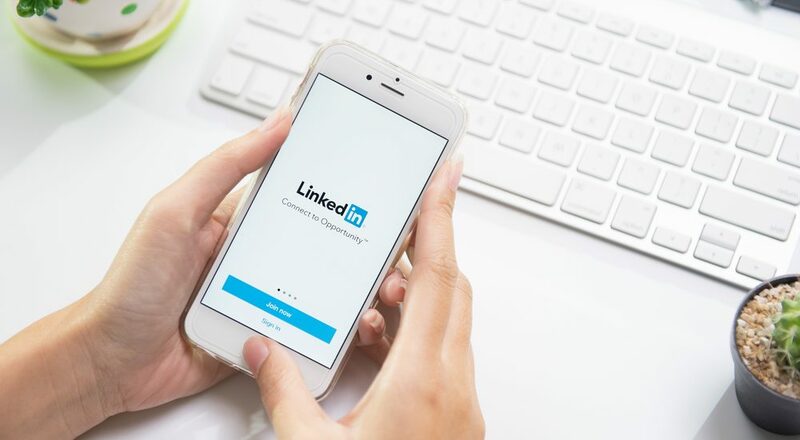 Your business page allows LinkedIn users, industry insiders, and consumers to learn more about your brand, business goals, and product or services. As long as you have a personal account and a verifiable email address, you can sign up for a business account. Make sure to put some thought into your business description as it is your opportunity to let others know your contact information, product or service data, and objectives. Also, include your company logo to promote brand awareness. You’re now ready to publish. In-demand talent does not walk in your door often, but they do network on LinkedIn which is why you need a career page to tell others about your workplace. You can also find people who will enhance your business interests. Whether it is a full-time employee or a contractor, you need the right tool to let professionals know you’re hiring. It also gives you an outlet to court the top talent by giving them an insider’s view of your departments. Let your employees share job insights about various departments, too. The best promotion on LinkedIn is self-promotion, so take the time to start a group that links to your LinkedIn page. When you create a group, it allows you to engage with your employees as well as communicate with other professionals in your industry. It will help you also become more knowledgeable about business interests. Top LinkedIn groups like Digital Marketing, eMarketing Association Network, or Social Media Marketing are all ideal groups to join as they will let you share your knowledge and grow a following. You can use your group to share relevant knowledge and set yourself apart from your competitors. You can do this by creating content about the business industry you serve. The first step after publishing content is to gain followers. You have different avenues you can use to get people to follow you including sharing the content to social media pages, adding your LinkedIn information to any avenue you use to communicate with others, or using a widget on your LinkedIn page so that visitors have quick access to it. You must use LinkedIn analytics to track your performance or advertising ROI so you can see what is popular and of little interest to not only your followers but to the people who sign-up after reading your content. Monitoring your growth also allows you to boost engagement, gauge popular topics, and monitor how traffic got to your page. Do you want to know more about our social media management, digital advertising, or content creation for your business? Visit our Services Page to learn more or contact us at 310-427-7706.